Photo from a never published outfit shoot. I was kinda under the weather, so all the pics weren't blog-worthy. I leave you with a detail shot of what I was wearing. By the way: I seriously bought the Primark Jumper for 5 euro's, could not believe it. I thought 10 euro's (the original price) was a bargain, but on the receipt I saw that it was half price. Not so sure about the quality though, but it's like my dad says about stuff that's made in China: "Quality is coincidence". I guess that this also is the case for Primark. Whooh dude! It's summer all right! 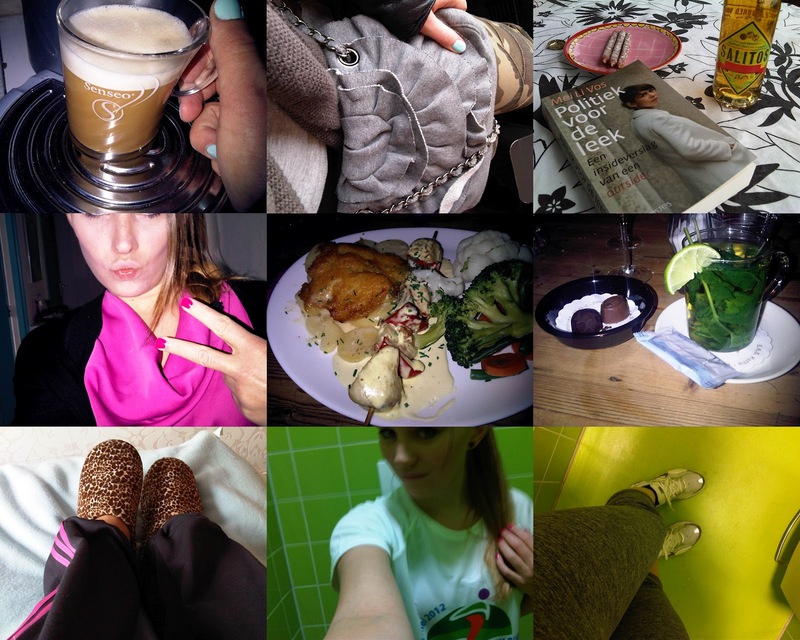 And I'm loving it to it's fullest, so I have been a little AFK from social media and my blog. Today I went chilling at a lake in a village just a couple of miles from my home town. The weather was great. 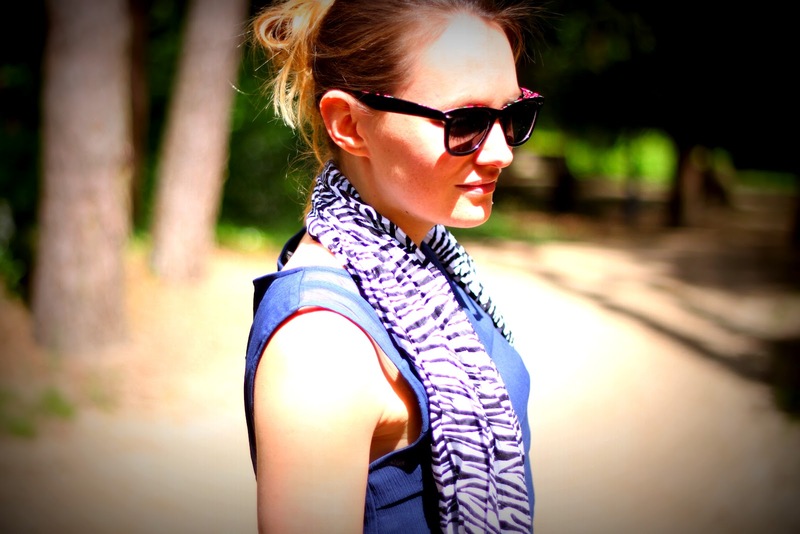 This is what I was wearing, a summery chilling outfit. Now in the weekend I can finally wear my new sweat shorts. I love them, think I'll be wearing them all summer. Too bad I can't wear them to the office, otherwise I wouldn't take them off. Well about the rest of my weekend: going to Pinkpop tomorrow to see The Boss in real life! 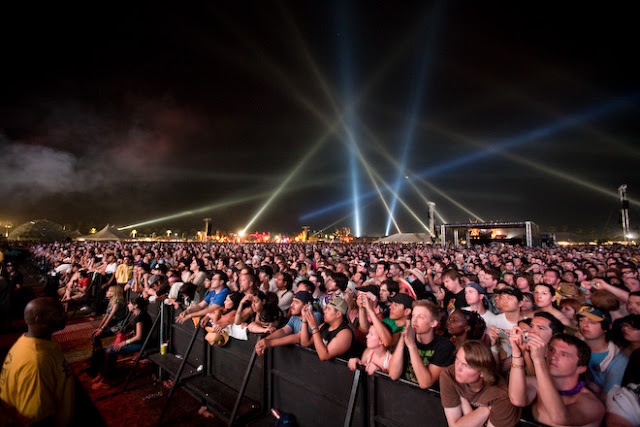 And of course Mumford & Sons and all the other cool bands. Can't wait! 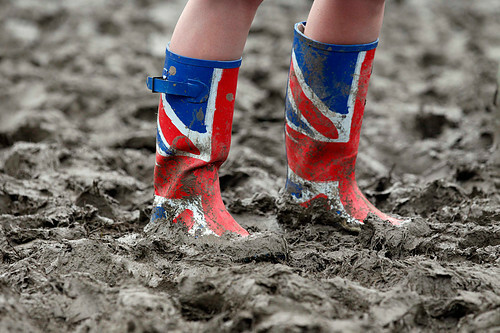 Follow me on Twitter for live updates from the Pinkpop field! So this is my first ever DIY project. I wasn't planning on posting the process of my new shorts, but since I take photo's of everything I do with my Blackberry, and some of you guys were asking about them I decided to make this tutorial. Step 1: Twist the legs of the jeans in knots and place a rubber band on them to hold it in it's place. Roll and the twist, and put rubber bands around the jeans until you have a little package. Make sure it'll all stay in place. It is better to soak your jeans in water first, so it'll roll easier; but I forgot to do that. Step 2: Fill a bucket with warm water and add a generous amount of thick bleach. I used 1/3 of the bottle. But pored more in over the amount of time, because I was getting impatient. Also the jeans I used weren't that dark, and were second hand (thanks mum!) so I found them hard to bleach. 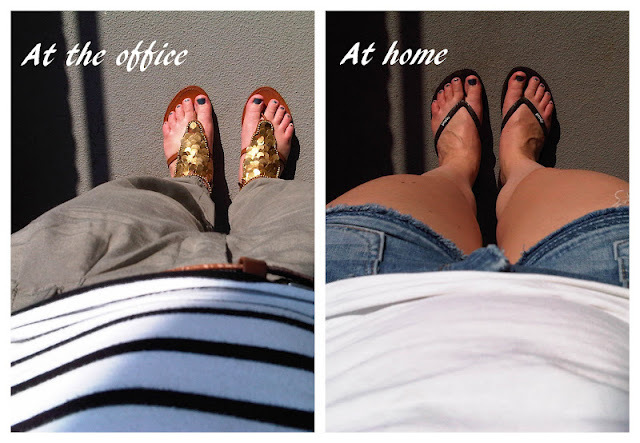 If you use new dark jeans, the effect will be better visible. I left the jeans in there for nearly 24 hours. But I recommend you to check after 10 hours. If you use a cheaper style jeans, it could get holes in the fabric if you leave them in too long. 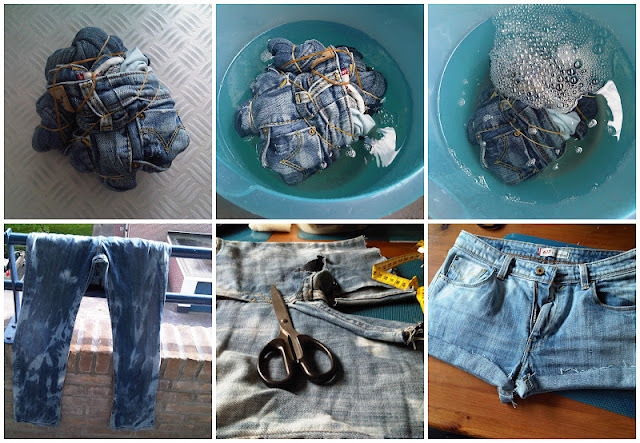 Step 3: Rinse out your jeans. Make sure you were gloves, and don't breath in all the chlorine. I seriously got high during this part. Remove all the rubber bands and rinse again. Step 4: Pop your jeans for a short cycle in the washing machine. I actually washed it twice, once with detergent, but I used so much that I did another cycle without adding anything. (After this the jeans still smell of chlorine though). Step 6: When completely dry, put your jeans on to see where you want to cut them. Make sure to leave a little fabric if you want to make a hem of some kind. Use your measuring tape to make sure both legs are the same length. Step 7: Cal your mum! ;) Seriously, I had to call my mum and pop over there to have access to a sewing machine. I choose to just stitch it loosely around the bottom, so the ends would look a ruffled. I wear the seem flipped up (see the last picture). Step 8: Combine you new tie dye shorts to create a great outfit & enjoy summer! By the way: I choose to first tie dye the jeans, before cutting them short; because then I had more fabric to twist, and gave a better dye result. But you can easily do it the other way round if you prefer. Hope you liked my first tutorial. I would love to hear your comments and questions! Oh yeah baby! It's Summer in the Netherlands. But I have to sit in an office for 40+ hours! So this is what I wore a few days ago (with lower temperatures though... wouldn't wear long black leggings with 30 degrees) when I didn't have to meet any clients. This look reminds me a little of Pocahontas, nothing wrong with a little Disney once in a while. I know: another "new in" post. 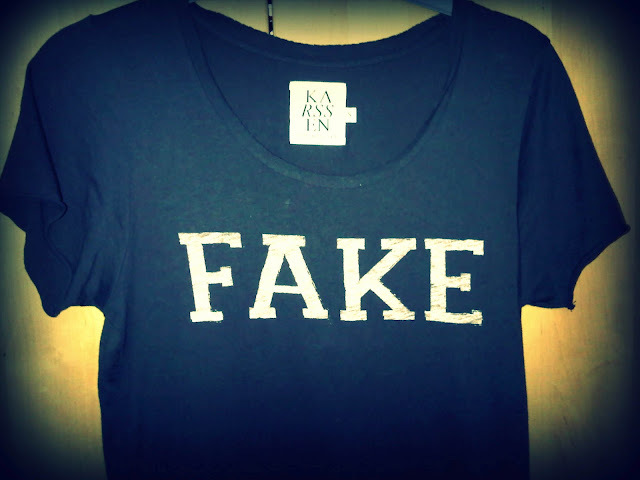 But I FINALLY got my hands on this Zoe Karssen tee! I wanted a Tee of Zoe Karssen for such a long time, but usually my size is sold out or I didn't have the money to spend on it. Last week I found this shirt online: And it was in my size! Yeah! Anyhow: I love this shirt, that part is true. Bought these H&M Fashion Against Aids bracelet & cuff a while ago, but forgot to post them! What did you get from the H&M Fashion Against Aids Collection? Behold! Me wearing shoes that are Not-All Stars! 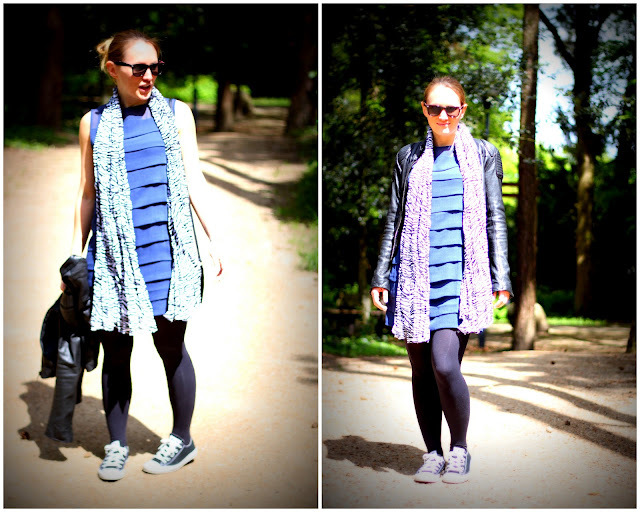 As promised an outfit post wearing my new shoes that I got at Mango. For the people following me on facebook no surprise, since the image of these beauties was on there a week ago. (Not following me on facebook?? Do it here!) Well I love these new booties. Bought them for work, so I wear heels more often. I do own a lot of heels but all of them are pumps, and running around in the office, riding my bike, fetching trains, I mange to loose one of shoes or slip out of them.... Hopefully these booties will prevent that from happening! I kicked-off festival season with a food festival in my hometown called: Hap Stap. Well, eating all these fancy foods is a little different to listing to rock music, while dancing in the mud. At least the beer, paper plates, grass and stage's where the same! So this is what I want to wear to Pinkpop next week.. Not sure what the weather will do...otherwise imagine this outfit with a jumper and a jacket on top. How we all love the Dutch unpredictable weather! 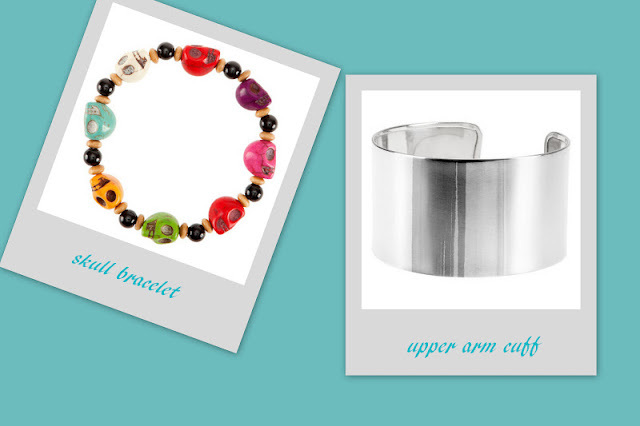 Aint no party like an Arm Party! By the way I did do my best, by going the extra mile and actually wearing a dress! The image of me wearing a dress is getting very rare these last few months. I should wear them more often. And yeah: I'm wearing my black all stars again. Can't help myself, I love those shoes. Anyhow, in the second photo you see my brother and me, very colour-coordinated, don't you think? 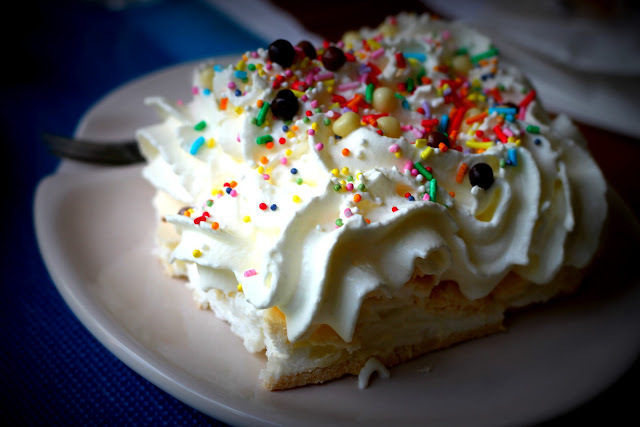 The last photo is the pavlova (this is New Zealand dessert) that mum made Sunday. Yummy aye? 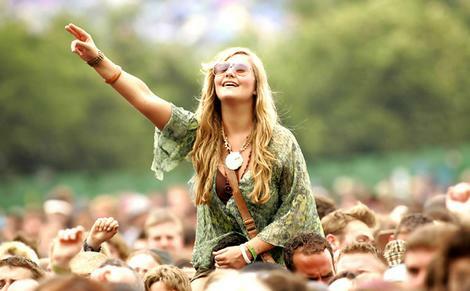 I was reading some magazines this weekend and all these festival outfits, must see, must do, must listen, etc. I can't wait! Starting the festival season with Pinkpop in 2 weeks time. 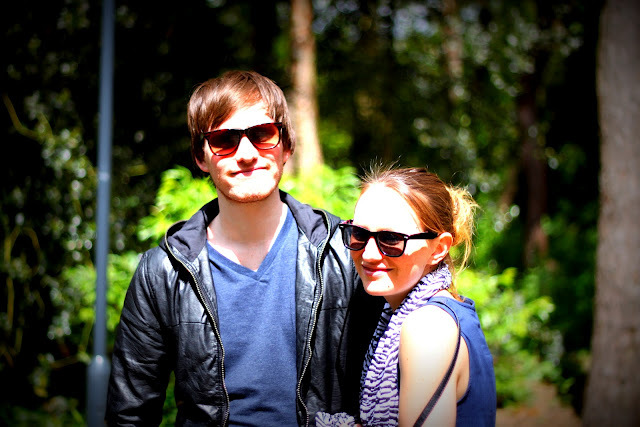 After that visiting at least two more, Rock Werchter and Parkpop, but who knows which last minute decisions the BF and me make! 5| The crowd; feel that vibe! Mega picture overload!!! Today I attended the Converse Event in Maasmechelen Village where you can buy a pair of All Stars and get them pimped by graffiti artists. (see more here) I had such a lovely time with the friendly staff of the Converse Shop and the artists. Because I had so many pictures I wanted to show you, I made three collages. 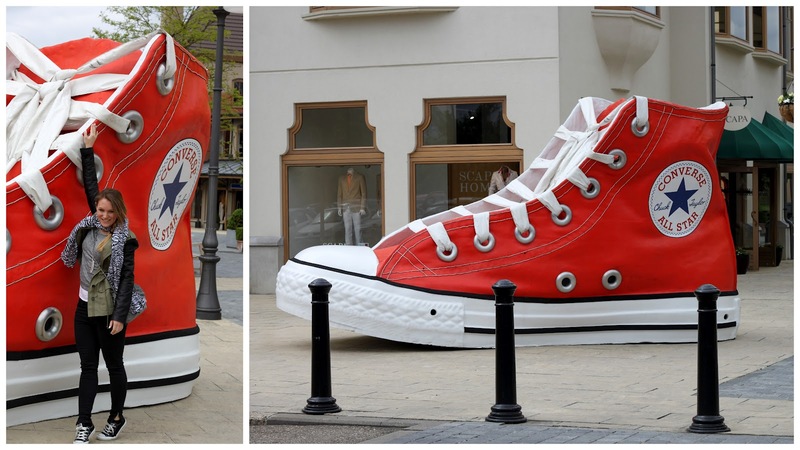 1| The biggest shoe in the world (it's a Euro size 845!) see how small I look next to the shoe! 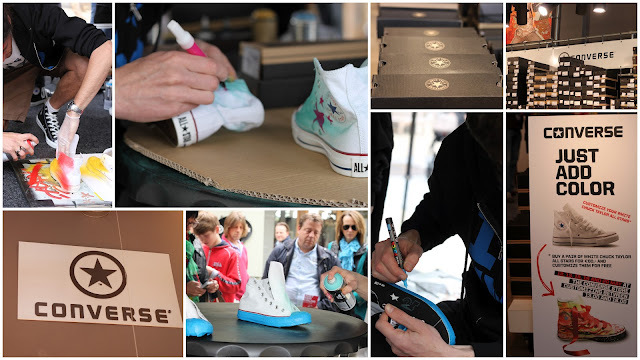 2| The event: images of the Converse Shop in Maasmechelen Village and the graffiti artists doing their magic! If you want to get your hands on pair of customized All Stars make sure you go to Maasmechelen Village during this promotion. For more info see here. 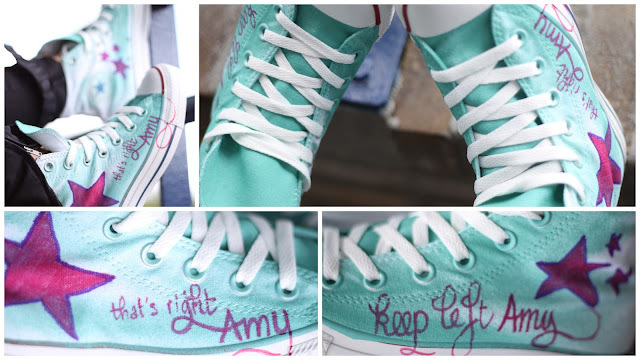 The artists will make you shoes exactly how you want them, or use their own creativity if you desire that. Aren't Converse All Stars like the best sneakers around? If you are a regular on my blog, you must know that I love to wear my lovely Chucks. 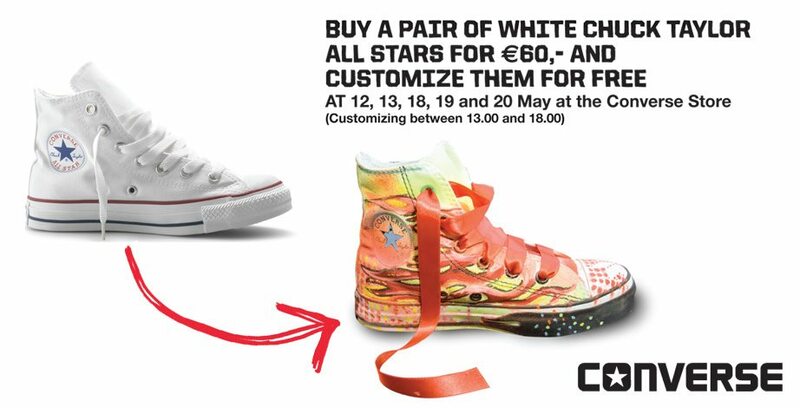 Maasmechelen Village has an amazing event planned: when you get a pair of white all stars, graffiti artists will pimp them for free. Maasmechellen Village has invited me to come down there this Saturday and check it out, so watch this space for more on this great event! 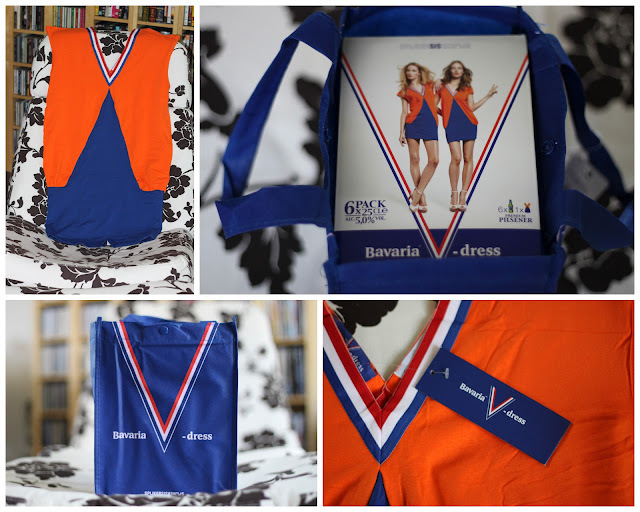 Yesterday was the day that the Bavaria V-dress finally was available at the Albert Heijn (supermaket). Yeah, it was available online for quite a while, and usually I love to shop online, but come on: 5 euro postage, on a item that costs only 10 euro's?? Yeah, I'm cheap. But I'm a Dutch Kiwi so what do you expect? Anyhow: What is better then buying beer and getting a free dress? I like! Bring on the football season! What can I say; sometimes I realize I will never grow up! 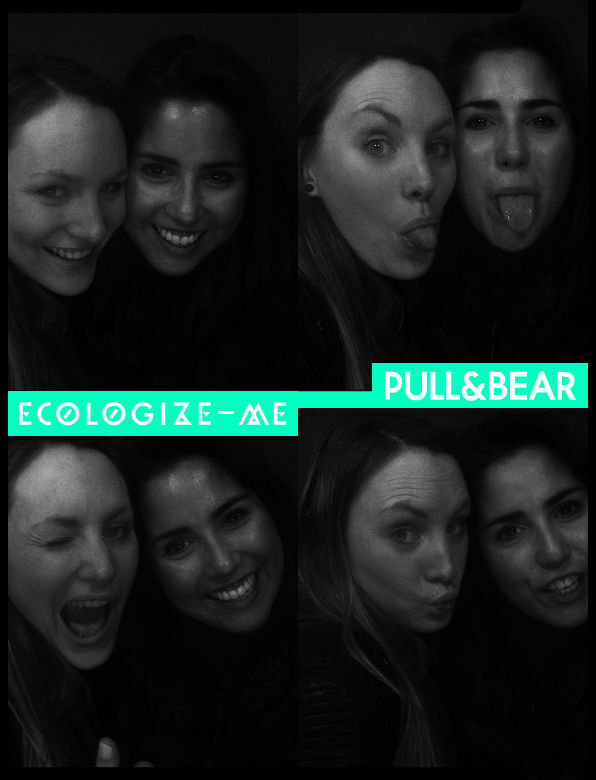 Some fun time with one of my besties at Pull & Bear Rotterdam. One of my outfits I wore last week. Combined my sheer black blouse with my faded leopard pants and black jacket. Love to wear printed pants alot these days.